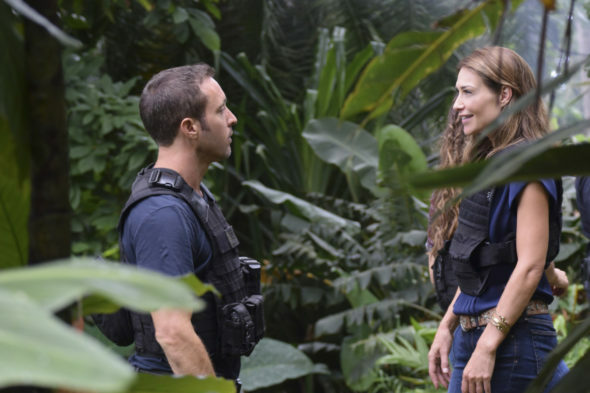 Good news for Hawaii Five-0 fans. Recently, EP Peter Lenkov revealed the CBS series’ eighth season will have 25 episodes total. A reboot of the ’70s series, the action drama revolves around Lt. Commander Steve McGarrett (Alex O’Loughlin) and his elite state police task force. The cast also includes Scott Caan, Ian Anthony Dale, Meaghan Rath, Beulah Koale, Jorge Garcia, Chi McBride, Taylor Wily, Dennis Chun, and Kimee Balmilero. On Twitter, Lenkov confirmed there will be 25 episodes for season eight of Hawaii Five-0, one more than originally announced last fall by CBS. What do you think? Do you watch Hawaii Five-0? Are you enjoying season eight so far? Love the story lines and the humor. I love Hawaii Five 0. I look forward to the new Seasons each year. Thank you for adding one more episode than scheduled. I do miss Daniel Dae Kim and Grace. I am very happy for Jorge’s weight loss. I just love his character and of course Steve and Danny and his cousin. Please do keep this show on the air. I love all the storylines, with the humor as well as the law enforcement aspect of the show. Thank you. Additional episode orders could also lead to story wrap-ups and be the end of the series. But, hopefully, this isn’t the case. I love Hawaii Five O, I can not miss one show. I hope it comes back for season nine with Alex O’Loughlin and Scott Caan. I really miss Chin. They should’ve paid him the extra money. I love this show, I’m so glad it’s renewed!! !